Lantana is a genus of about 150 species of perennial flowering plants, native to tropical regions of the Americas, Africa and existing as an imported plant in numerous areas, especially in the Australian-Pacific region. The genus includes both herbaceous plants and shrubs growing to 0.5-2 m tall. 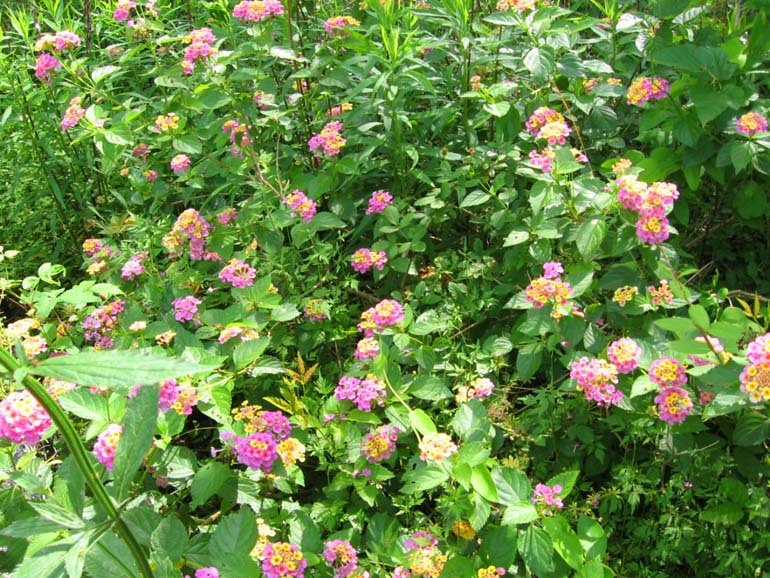 Their common names are shrub verbenas or lantanas.